I have been intrigued by BHP Billiton, the commodities producer with various interests in Australia, the United Kingdom, Chile, and South Africa. If you want to own an asset that produces oil, iron, nickel, copper, natural gas, diamonds, coal, and a wide assortment of minerals, you need look no further. It is walking, talking diversified commodities conglomerate. It produces 68 million barrels of oil, 1.7 million tons of copper, and 635 bcf of natural gas each year. If John Neff of the old Vanguard Windsor Fund fame were managing this collection of assets, I would not hesitate to regard it as a top-ten lifetime holding. But Mr. Neff doesn’t manage it. The company is run by Andrew MacKenzie, who I believe has one of the worst appreciations for the reality of the commodity business cycle out of any head of a major commodities-producing firm. BHP Billiton’s capital allocation decisions are absolutely horrendous. During the commodities decline of several years ago, BHP Billiton had to cut its dividend from $2.48 per share in 2015 to $1.08 in 2017. That didn’t bother me, as it offered an opportunity for the business to readjust, retain more profits, and build itself for a stronger future during the next business cycle. But that is not what is happening. 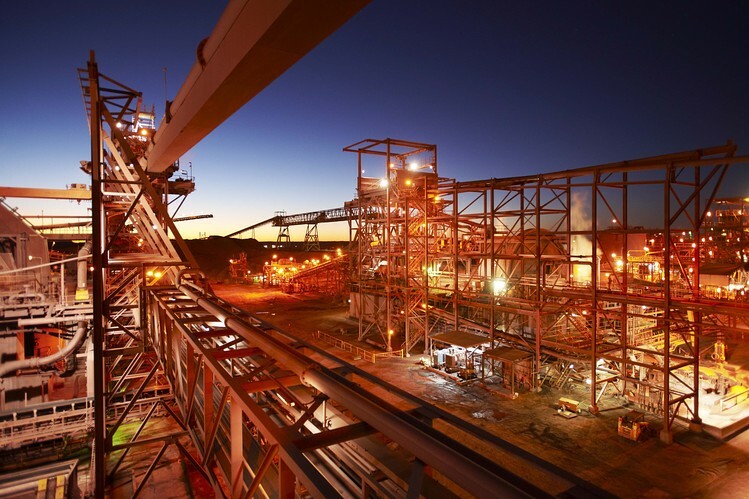 Now, with prices higher, BHP Billiton is announcing a $10.4 program that will consist of a $5.2 billion share buyback and a $5.2 billion special dividend. If you are Adobe, or Apple, or Microsoft, or Alphabet, or Berkshire Hathaway, fine, you can do a one-time special dividend if you want because you are drowning in cash and have many business lines with no capital reinvestment needs. But that does not describe BHP Billiton. It is an asset-heavy business where cash is critical, especially during downturns in the business cycle. Even now, BHP Billiton carries $26 billion in debt against its “profit engine” of about $6 billion per year. If you want to be the Exxon of Australia, cut your debt down to $13 billion so that the balance sheet is of commensurate strength adjusted for size. It is down to 452 million barrels of oil and oil equivalents in proven reserves, which is about 6-7 years worth of proven reserves. Come on, take that $10.4 billion and invest in additional proven oil reserves. I do not view special dividends as compatible in any way with asset-heavy oil and other commodity asset development. If you want to last for the long haul, you always need to have your eye towards additional accumulation of reserves and/or diversification into other commodity business lines. My preference is that the $10.4 billion be used to acquire additional commodity assets, and if none are available, the payment of debt obligations (some of which exceed 5% interest rates). I am really off put by this plan to return such a meaningful amount of capital to shareholders right now, as I can state with a high degree of certainty that BHP Billiton will need to access the capital markets for extensive borrowing or the issuance of additional shares within 6-7 years based on what the balance sheet will look like after these capital allocation plans are consummated. I now view BHP Billiton as an asset to buy-and-hold only if it can purchased at a low price, such as was available during the recent declines that took the price into the $18-$28 range. The capital allocation decisions of management bar me from considering the purchase of the stock at fair value because mismanagement will come to cost shareholders in terms of high interest expenses or diluted ownership in the years to come. It is a shame to say this because BHP Billiton has great underlying assets and operates such a unique, diversified niche for commodities investors. The amount of waste that creates this gap between the company’s potential and reality is frustrating–it is like knowing someone with great natural talents but a limited work ethic.